George Orwell’s book 1984 is No. 1 on Amazon.com, and the publisher has ordered an additional 75,000 copies. Donald Trump may not be a big reader, but he’s been a boon for sales of dystopian literature. Amid our thirst for adult coloring books and stories about missing girls and reincarnated puppies, some grim old classics are speaking to us with new urgency. Ray Bradbury’s Fahrenheit 451, Aldous Huxley’s Brave New World and Margaret Atwood’s The Handmaid’s Tale have all risen up the latest paperback best-seller list. But by far the greatest beneficiary of our newly piqued national anxiety is George Orwell’s 1984. Soon after senior adviser Kellyanne Conway said on Sunday that the administration was issuing “alternative facts,” Orwell’s classic novel spiked to No. 1 on Amazon. Like officials from the Ministry of Truth, Conway and White House press secretary Sean Spicer doubled down on Trump’s fanciful contention that his inauguration drew the “largest audience ever,” despite a web-full of photographic evidence to the contrary. 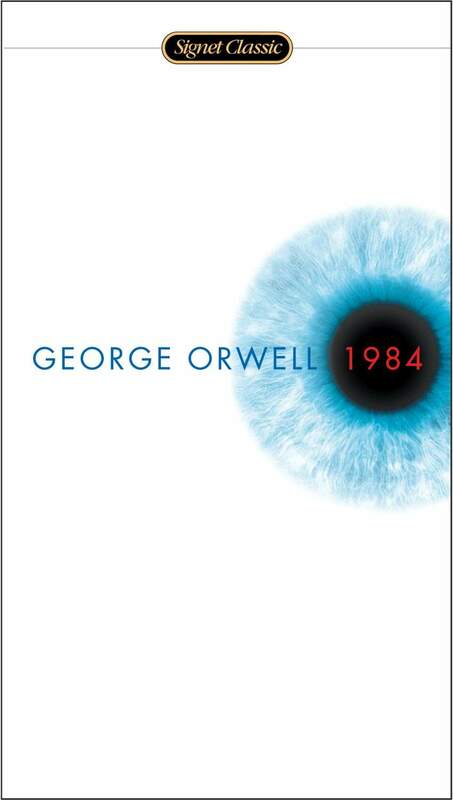 The Twittersphere responded with allusions to 1984, and Penguin announced plans for a special 75,000-copy reprint, noting that since the inauguration, sales for the novel have increased by 9,500 percent. Leaders have always tried to manipulate the truth, of course, and modern politicians of all persuasions want to “control the narrative,” but there’s something freshly audacious about the president’s assault on basic math, his effort to assemble from the substance of his vanity hundreds of thousands of fans on the Mall. Born in 1903, Orwell lived through two world wars and saw the rise of totalitarian regimes on an unpresidentedscale. In a widely quoted letter written in 1944, he decried to “the horrors of emotional nationalism and a tendency to disbelieve in the existence of objective truth.” He went on to explain with rising alarm: “Already history has in a sense ceased to exist, ie. there is no such thing as a history of our own times which could be universally accepted, and the exact sciences are endangered.” Now we’re being told that millions of illegal immigrants kept Trump from winning the popular vote, and that the science behind climate change is a Chinese hoax. But Democrats shouldn’t feel too smug about Trump’s fluency in Newspeak. The Obama administration did its best to conceal that the National Security Agency is listening to our electronic communications, an eerie parallel to the surveillance described in 1984. And it was President Clinton who brought the country to a constitutional climax by claiming that the truth of his testimony regarding “that woman” depended “on what the meaning of the word ‘is’ is” - an Orwellian clarification if there ever was one. Besides, Orwell wasn’t writing about a particular party. Although he was inspired by full-scale abuses in the Soviet Union, Imperial Japan and Nazi Germany, he was also borrowing from the methods of communication control he had witnessed in Britain. He was describing, in other words, the basic function of power, the tendency of leaders and governments - “from Conservatives to Anarchists” - to cement their authority by controlling our language and by extension our thought and behavior. In that brilliant critique, Orwell casts the blame for political corruption widely, and he insists that we all bear a responsibility to resist it by thinking and especially by writing more clearly. “One ought to recognize that the present political chaos is connected with the decay of language, and that one can probably bring about some improvement by starting at the verbal end,” he wrote. There’s a patriotic challenge you won’t hear coming from Washington no matter which party is in power. Fortunately, we’re not living under the dystopian terror that Orwell described in 1984. Our new leader is not the manufactured icon of a supreme state. He’s a supernova of insecurities, tweeting out his insults and threats to increasingly perplexed citizens who still - for the moment, at least - enjoy the right to object in whatever language they choose. Charles is the editor of Book World. You can follow him @RonCharles.